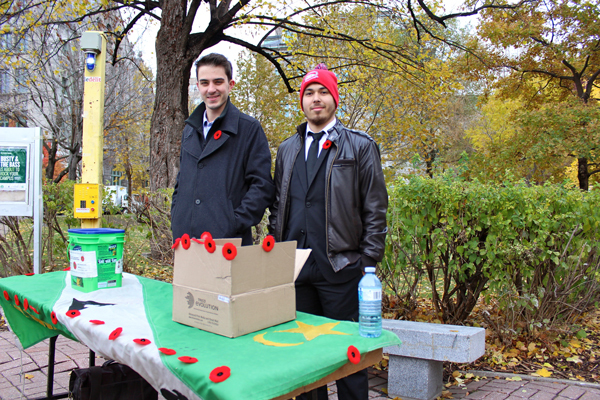 Today, Monday and Tuesday, the Memorial Chapter of the Alpha Delta Phi fraternity will be at the Y intersection on the downtown campus selling poppies. Today and Monday, they will be there from 9:30 in the morning until 5 p.m. The fraternity has a long history of answering duty’s call. “Many members from the fraternity served in both World Wars and this chapter is called Memorial for having had the most fallen brothers through all North American chapters,” said Alexandre Laramée, the chapter’s president.